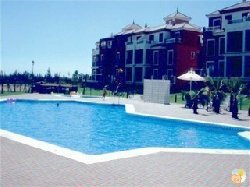 VILLAS AND APARTMENTS TO RENT ON THE COSTA DE LA LUZ SPAIN. 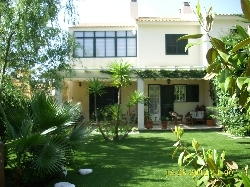 Welcome to our selection of holiday homes to rent on the Costa de la Luz in Spain. The Costa de la Luz is in the south west corner of Spain facing the Atlantic so the sand is fine and golden and the area is very popular with surfers. The wide expansive beaches are cooled by strong Atlantic winds which makes it very popular for water sports with Tarifa being a centre for surfers. The Costa de la Luz stretches from the Costa del Sol in the East to the Algarve in the West. Along with beautiful scenery, traditional Spanish atmosphere and gorgeous beaches the Costa de la Luz possesses an incredible historical and cultural heritage. Below is a selection of Costa de la Luz apartments and villas that can be rented direct from their owners. You can either click on each listing for further details or you can use our search engine on the left if you are looking for something in particular.